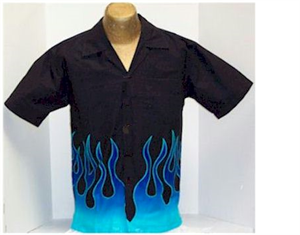 Rising Blue Flames printed on the border of a camp shirt. Matching left chest pocket, coconut buttons. Made of easy care 55% cotton and 45% rayon. Machine washable.